This Blessed Earth was chosen as the 2019 'One Book One Nebraska' selection by the Nebraska Library Commission and joins a distinguished list of books to receive that designation. Yet this book will not get the usual Nebraska's governor's proclamation because Pete. Ricketts disagrees with the authors politics. 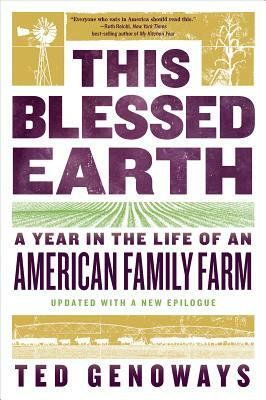 The Plains Trading Company believes the book has great merit and wants you to read this enlightening account of a five generation Nebraska family farm for yourself.